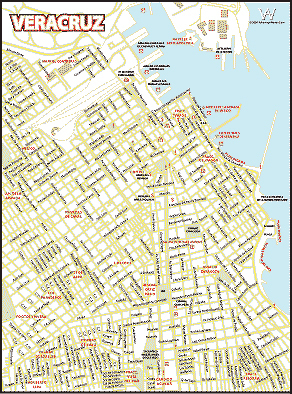 Click here for an Veracruz Map in Adobe PDF format (123 K). This is ideal for printing out and sticking in your pocket while on vacation in Veracruz. If you are one of the few people on the planet who do not have the FREE Adobe Acrobat plug-in . . .